A pair of Russian MiG-31 fighter jets engaged in a very high-speed chase – supersonic, actually – to intercept an “intruder” violating airspace, a newly released video of stratosphere drills shows. The exercise took place in the central Russian region of Perm, the Central Military District’s press service said Thursday. The fighter unit is equipped with MiG-31BMs – the latest variant of the iconic long-range fighter jets. The video, released by Zvezda TV channel, features the planes taking off and landing back at the airfield. The “fight” itself was not captured – which is not surprising, given extreme speeds, as well as large distances between the opposing parties. “The crews have flown at supersonic speeds of over 2,800km/h (1740mph) at the altitude of 18,000 meters,” the press service said. 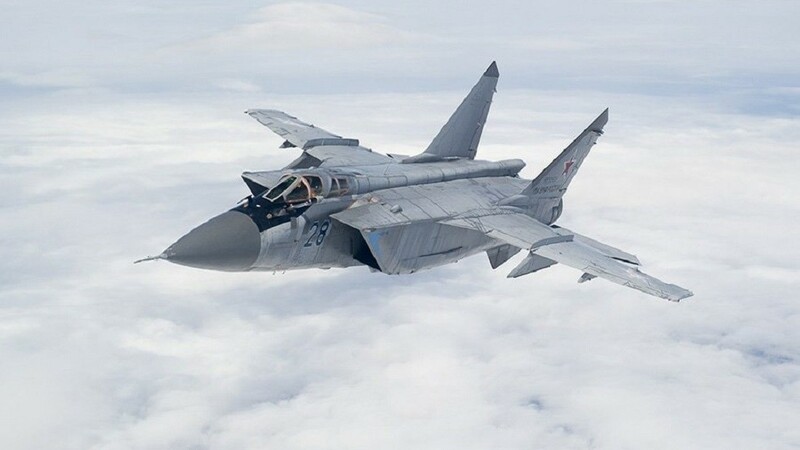 One MiG-31 impersonated an intruder, which had penetrated Russian airspace during a surveillance mission and tried to dodge air defenses. A pair of MiG-31s were scrambled to chase and intercept the violator. The MiG-31 has been in service since the 1980s, and it has received several upgrades over the years. The MiG-31BM variant has an upgraded radar and fire control systems, which significantly boosts the plane’s capability to detect and track hostile aircraft. The plane can carry a large variety of weapons ranging from anti-air missiles to guided bombs. Last year, the MiG-31 got the latest addition to its arsenal, becoming a carrier of the cutting-edge hypersonic Kinzhal missiles.